Project Trashion was founded in 2018 at the University of Waterloo by a group of students that wanted to actively change the way we engage with sustainability. We are an art show, a fashion show, and most importantly, a family that strives to create a difference. 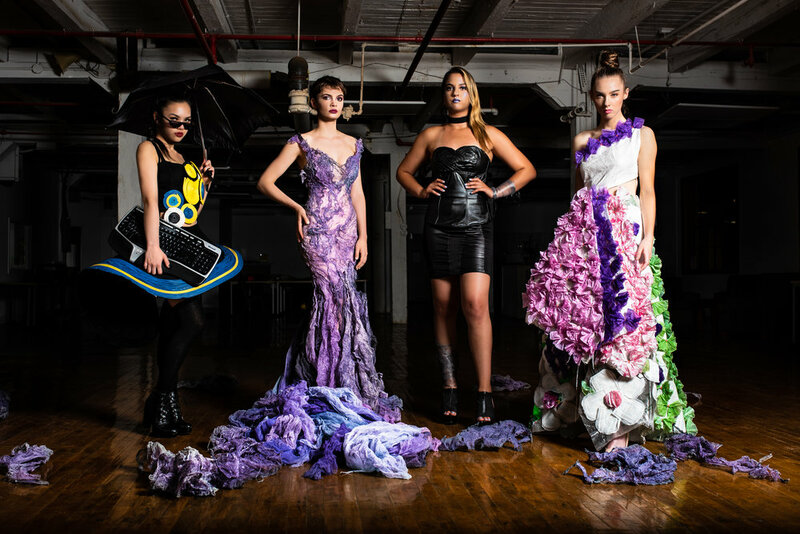 Project trashion uses a compelling array of creative creations ranging from wearable, visual to installation art to create an experience for everyone. Art acts as an initiator for dialogue and a call to action to encourage our community to live a more sustainable lifestyle. Wearable art is only one part of the fashion Show. We want to showcase sustainably-driven businesses, non-for-profit thrift stores, and ethical fashion companies as an alternative choice for personal style. We want lead by example and demonstrate that there are one way to showcase your personality and style. We strive to live a lifestyle without compromising our future and contributing to the global fashion-related environmental crisis. We use art, fashion and community activism as a platform to inspire a personal call-to-action and commitment to sustainability in one’s lifestyle. To foster and grow a culture of sustainability. PROJECT TRASHION is an official non-for-profit club of the Federation of Students, University of Waterloo.